When Ariel Manto uncovers a copy of "The End of Mr Y" in a second-hand bookshop, she can't believe her eyes. She's read about its author before, the outlandish Victorian scientist Thomas Lumas, and this is his most notorious, and rarest, book. It is also believed to hold a curse. 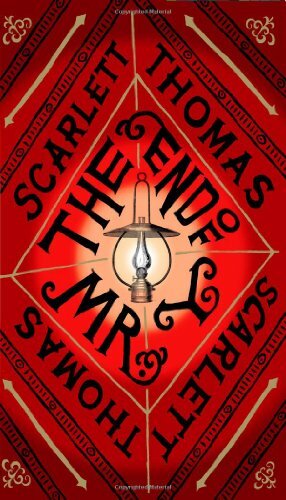 Anyone who's ever read it, including Lumas, has disappeared without trace.With "Mr Y" under her arm, Ariel is thrust into an adventure of faith, physics, love, death, and everything in between.Part gothic mystery, part time-travelling love story, "The End of Mr Y" lies somewhere between "Shadow of the Wind" and "Dr Who". Scarlett Thomas sends us on a wild and irresistible quest into our deepest selves and our biggest questions. About Scarlett Thomas (Author) : Scarlett Thomas is credited in . A published credit of Scarlett Thomas is Monday or Tuesday (Hesperus Classics).